What ails the BRICs? Why do they seem simultaneously so eager to embrace their growth, success and position - and so uncertain and self-destructive? 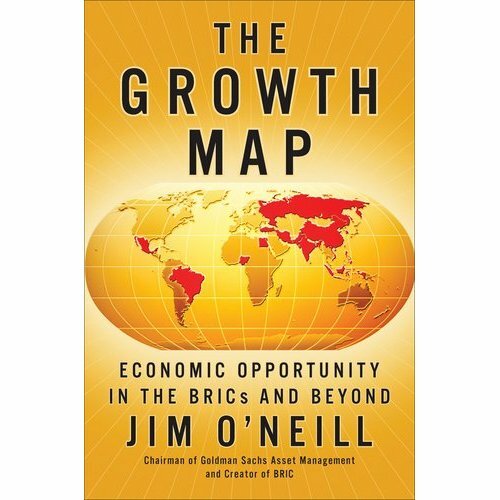 In his recent book The Growth Map: Economic Opportunity in the BRICs and Beyond, Goldman Sachs economist Jim O'Neill (coiner of the term BRIC, developer of the N-11 concept and proponent of "growth markets") comments on the contradictory nature of many of the market dynamics. Although the trends he predicted have largely evolved as outlined, contributing to his substantial notoriety and celebrity, there are latent risks and uncertainty in each market he explores. It is nearly certain that the growth markets in general will continue their expansion and development, though not without occasional regression. Yet individually the markets risk missteps which would effectively kick them to the side of the global growth highway. And competing growth and popular political pressures will likely be the cause in the event one stumbles. As explosive global growth has created demand for natural resources governments in all corners of the globe and of all political stripes have seized on the revenue opportunity of production taxes, partial nationalization and export duties on all manner of extracted and mined products. In some locales where governance has been more inclined toward meddlesome regulations this isn't terribly surprising. But in others where, despite well-known bureaucracy and corruption, government involvement has been calibrated to foster growth while managing it, these moves seem uncharacteristically counterproductive. In Brazil, for instance, the recent, odd suits filed against Chevron and Transocean appear to be the product of a political dispute. But motivations aside, US companies eager to expand into the seductive market must carefully weigh the risks of market entry and determine the optimal method for establishing a market presence. India may take the prize though for mind-boggling, embarrassing and infuriating delays. Infrastructure projects often take decades to get underway and then often stall mid-stream. The amazing tales of corruption and failure in preparation for the 2010 Commonwealth Games provide the opportunity for an illuminating contrast between the privatized Delhi Airport development and the government administered venue and lodging preparations. In a bold (perhaps misplaced?) endorsement of infrastructure opportunities the US Commercial Service has announced a webinar on January 11, 2012 focused on Indian infrastructure opportunities. The timing seems odd. In some markets one might conclude that a political agreement had been reached which would allow projects to move forward in the future - allowing the US government a degree of comfort in promoting the opportunities to US exporters. That seems unlikely in India, however. Contrasted with the extraordinary infrastructure growth in China (where tales abound of malls and amusement park ghost towns - built but without occupants), India is better characterized by the assessment of GE's CEO Immelt who commented in 2011 on the frustration that GE experiences in its participation in Indian projects. The "Wal-Mart" game of hot-potato has given observers (not to mention participants) migraines since the middle of the last decade and more recently whip-lash with contradictory Prime Minister level announcements at intervals mere days. And now, the long-awaited "Navi Mumbai" airport - the answer to congestion and antiquated infrastructure which plagues one of the world's largest cities...."high land cost" threatens to doom the project. In all likelihood the headline and announcement are really just a high stakes bluff in a complex cat & mouse game of corruption. Once the required capitulation is achieved, miraculously a required permit will be granted and the process will resume. And yet for those who have followed the process the irony is overwhelming. When the location was selected the rush of connected and corrupt to acquire land was sudden and massive. Leveraging information and access the land grab resulted in hugely inflating prices - and even public housing projects were never made available to the needy as flats were procured by various officials in anticipation of the commercial growth of this eastern district of the otherwise landlocked city. And now, having cornered the market, using connections and in anticipation of this eventuality, now the tug-of-war begins. In the end it will be built - although probably on inadequately stabilized marshland. The politicians and the well-connected will profit handsomely; the delays will confound companies determining where to locate offices and cause the hospitality industry much consternation; the airport will suffer immediatly from poor quality and decay; and the image of India as a place of huge potential but intractable corruption will be reinforced. The US Commercial Service offers wonderful access, advice and support for US companies. But be careful in this instance - don't fall victim to an overly idealized perspective of the opportunities! The BRICs are not an unalloyed opportunity. The potential is vast, the risks substantial and the pitfalls impossible to fully anticipate. And it isn't just the BRICs - any international business growth initiative will involve disappointments and frustrations. HOWEVER, a properly developed strategic plan which includes appropriate diversification and market selection offers security and opportunity for US businesses. Export growth requires commitment, effort and patience - yet the payoff is a substantially enhanced enterprise value and success. Consilium helps companies both start from scratch, and refine established international business development programs. Contact us to discuss how we can help you navigate the difficult terrain to find secure and profitable opportunities for your business.